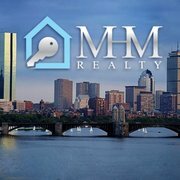 MHM Realty was founded by real estate professional, Matt Magoon, and is an up and coming real estate agency serving all of East Boston as well as the entire North Shore! Our office is conveniently located in the heart of East Boston on Maverick Street, right next to the Maverick Blue Line subway stop. We are committed to serving all your needs in helping you find your dream home!